Principle over Politics, or Politics over Principle? The sentiments expressed by democrats and some in the liberal media, is that Senator Franken and Congressman Conyers are placing principle over politics, taking the high moral ground, in their heroic acts of resigning from congress for their roles in the sexual abuse scandal plaguing the nation. Let us first state for the record, it is a sad commentary on life in America when principle takes a back seat to politics, but perhaps there is good cause under certain circumstances. Some could say the president and republicans were committing this breach of ethical standards in their support of Roy Moore who had been accused of sexual abuse some 40 years ago. However Senator Franken and Congressman Conyers, both democrats, in the minds of their supporters deserve plaudits for resigning in the face of allegations of sexual abuse, thus placing principle over politics. However they were both forced to resign, principle which I believe is in short supply among democrats, had nothing to do with their departure. In his ignoble resignation speech Franken was anything but undignified; and to satisfy his selfish motives and draw attention away from his own transgressions, he brought into his speech the allegations against the president and Roy Moore, asking why he should have to resign and not them. He was also somewhat aloof, stating in effect that he would resign in the coming weeks. Several liberal columnists and cable news channel hosts have revealed how saddened they were with the Franken and Conyers resignations, and that both are deserving of further investigation by an ethics committee before departing the congress. Although it is after the fact, the election has come and gone, I still think it necessary to justify placing politics over principle. In the case of Judge Moore, whatever your opinion may have been on the 40 year old allegations, I believe this is one of those circumstances, where for the good of our hopefully immortal souls, politics must take precedence. Unlike his competition, Judge Moore is prolife, and for that and that reason alone politics must make the difference. Principle cannot be a factor when defending the innocent from the brutal process of abortion that destroys life. Sadly the election for the senate seat in Alabama was held and the democrat, Doug Jones, was the winner. I do hope the people who voted realize what the outcome of their decision will be. There is a number of prolife legislation pending in the congress and it is almost a certainty that the democrat will vote against them. But although prolife must always be upper most in our list of priorities, perhaps we can find something positive in the outcome and take solace and comfort in the fact that the people of Alabama are not the ignorant hayseeds that liberal elites think they are, but God-fearing law abiding Americans who had misgivings about Roy Moore and decided to believe his accusers and vote their conscience. 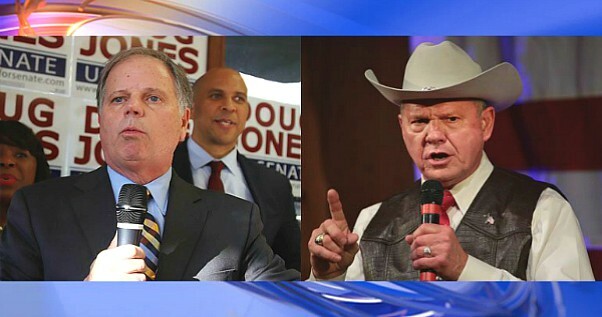 Although the election of Doug Jones will give senate democrats one more vote to undermine legislation, and the president’s campaign promises, there are republicans and many on the right who believe we dodged a bullet in not having to deal with what likely would have been an investigation of a Senator Moore for ethics violation; democrats would have demanded this. They would point to their own actions in falsely claiming how they placed principle over politics in their handling of the Franken and Conyers resignations. Perhaps it was for the best that Roy Moore was defeated. But in the long run, I still believe that whenever a race for elective office is held, it must be the republican who is the winner, innocent lives depend on it.